Albert Maysles, along with his brother David, directed some of the best and most influential documentaries ever made, including Salesman, Gimme Shelter, and of course, Grey Gardens. Going solo since the death of David in 1987, Albert was making movies up until his passing in March, including this one about 93-year-old designer — of interiors, fabrics, and clothes —and fashion icon, Iris Apfel. While this film isn't quite like Grey Gardens in terms of its approach to its subject, one can't deny Little Edie and Iris Apfel are spiritual twins when it comes to style. I don't think Iris would be opposed to wearing a sweater on her head if it went well with the dozens of bracelets and necklaces she happened to be donning, because, in her own words, "It's better to be happy than well-dressed." Even if you've never heard of Iris, it's probably safe to bet you've at least seen her and her giant glasses, short grey hair, and mounds of bangles. And seeing her packed-to-the-gills residences, her daily routines, and her relationship with her 100-year-old husband, all through the eyes of Albert Maysles, is nothing short of a treat. If you're in a comedy with Sofia Vegara, and her performance looks subtle next to yours? Well, you might be doing it wrong. Reese Witherspoon has been funny before, but from the looks of this one, she may have forgotten that comedy is more than screaming and mugging for the camera. We could all use a good female-centric buddy cop movie, but this isn't it. Arnold Schwarzenegger has made a zombie movie. Of course he has! Think The Walking Dead meets iZombie. Arnold's daughter (Abigal Breslin) becomes infected with the zombie virus, and he decides to buck the system and keep her out of the mandatory quarantine, fleeing the law with his soon-to-be zombie daughter at his side. Zombisim! The ultimate I'LL BE BACK. 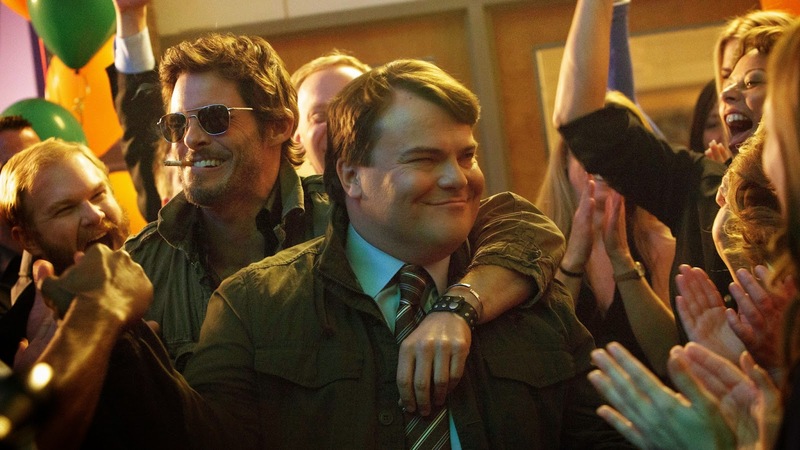 Jack Black stars as a former high school loser who decides to convince the most popular guy in his former school (James Marsden, again!) to accompany him to their class reunion. But he gets more than he bargained for and blah blah blah. I'm already tired of this movie because every time I've had to look something up on IMDb today a damn ad for it would start playing and there was no way to shut it off, because the pause and mute buttons are lies. Lies! 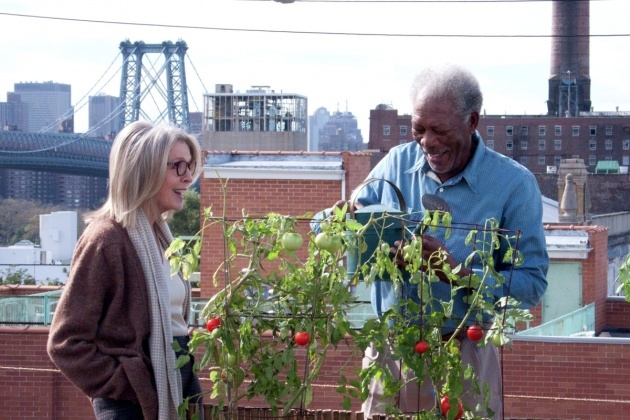 Morgan Freeman and Diane Keaton star as a couple who have been together for forty years, and decide to look into selling their Brooklyn apartment the same weekend their beloved dog falls ill, a terrorist threat shuts down the Brooklyn Bridge, and they find what may be their dream apartment in Manhattan. In other words, here's the movie you can take your mother to on Sunday. 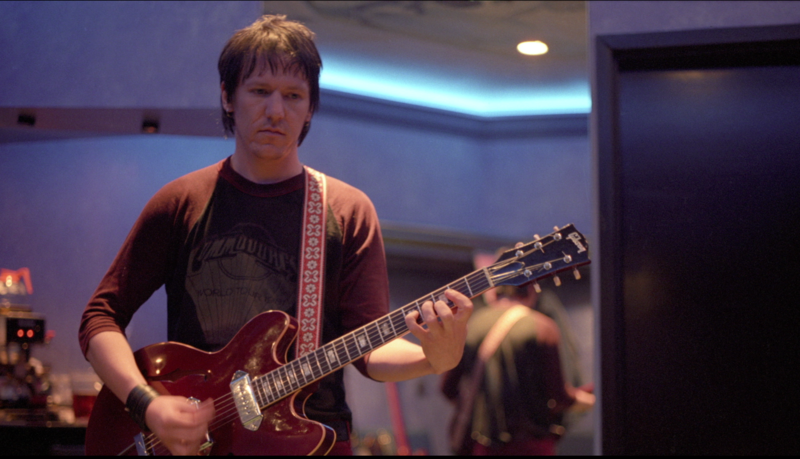 Documentary about the life and music of Elliot Smith, with a focus on his time in the three main cities he called home — Portland, New York, and Los Angeles — and the sudden fame he garnered after the release of the film Good Will Hunting. A definite must-see for any Elliot Smith fan. Producer Marc Smolowitz is scheduled to make an appearance after the 7 p.m. showing at the Roxie tonight. Back in the 1960's, Cambodia had a vibrant rock and roll scene, and its own set of pop stars and influential musicians. Then, the Khmer Rouge came to the country. That spelled the death of thousands, and the end to Cambodia's rock and roll. This documentary traces that history through the words of the artists who survived, and includes lots of amazing music and clips. Director John Pirozzi will be in person at tonight's evening showing at the Balboa.